Kruk joined the network in 2004. This season, he mainly served as a studio analyst, and he also contributed to ESPN’s Little League World Series coverage. On a brief phone call, his agent declined to comment on whether or not another broadcasting job was on the horizon. Kruk has done broadcasting work since 2001, first with Fox (including on The Best Damn Sports Show Period) and then with Comcast SportsNet and WPEN-AM in Philadelphia in 2003. He joined ESPN in 2004 and worked on a variety of programs, including Baseball Tonight (2004-12, 2015-present) and Sunday Night Baseball (2013-15). 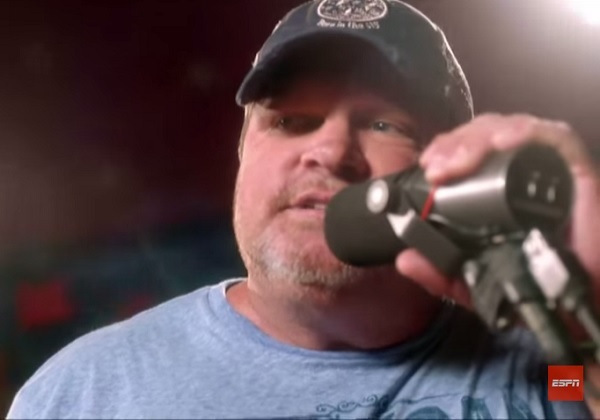 Some of his stories and quirkiness will certainly be missed, including how he unknowingly texted with George Brett about ribs for two years and how he teamed up with a country band to record songs for ESPN’s 2014 Fourth of July weekend coverage. We’ll see if Kruk winds up elsewhere in the broadcasting world.